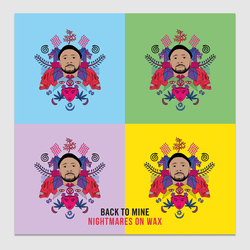 Nightmares on Wax - Back To Mine – Nightmares On Wax. Vinyl LP, CD. Bleep. 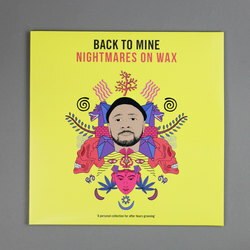 Back To Mine turn 20 this year, and to mark the occasion they’ve gone big and brought Nightmares On Wax in to craft their latest mix. 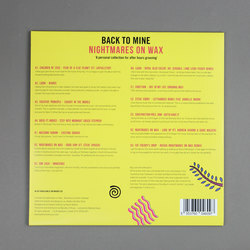 It’s a wide-ranging selection from the veteran DJ and producer. Across the tracklist here the one born George Evelyn manages to take us on a trip around the world while still repping his northern roots. For every artist from a far-flung corner of the Earth - Colombia’s Bosq, New Zealand’s Ladi6 and Italy’s Massimo Vanoni to name but three - you’ll get a jam that originated in Hull, Manchester or Leeds. 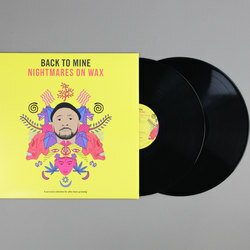 If you’re craving something straight from the source then you’ll be pleased to hear that there are Nightmares On Wax originals and remixes across this Back To Mine installment.